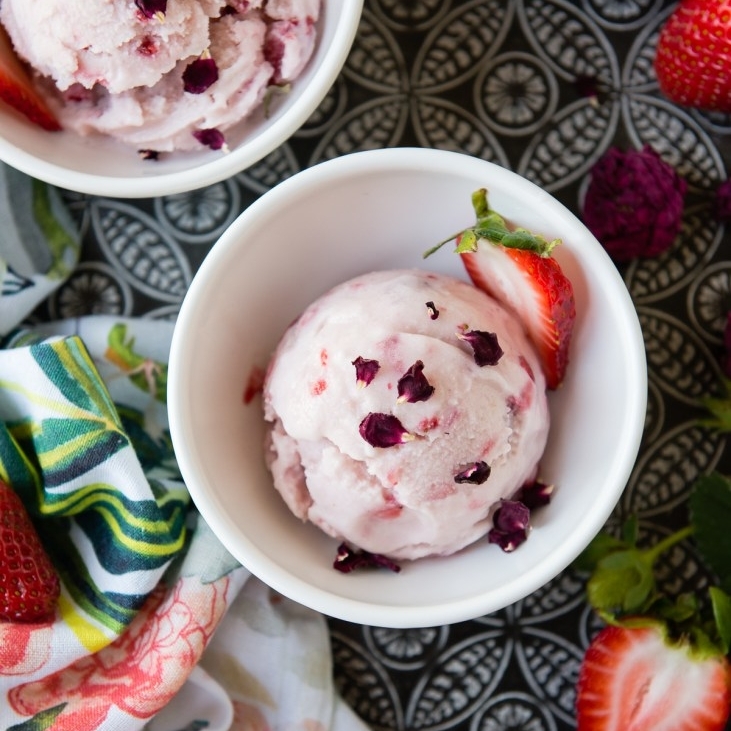 Vegan ice cream is some newsworthy stuff: find Our most recent press below! Want to feature Best One Yet? Contact us at hi@bestoneyetvegan.com. 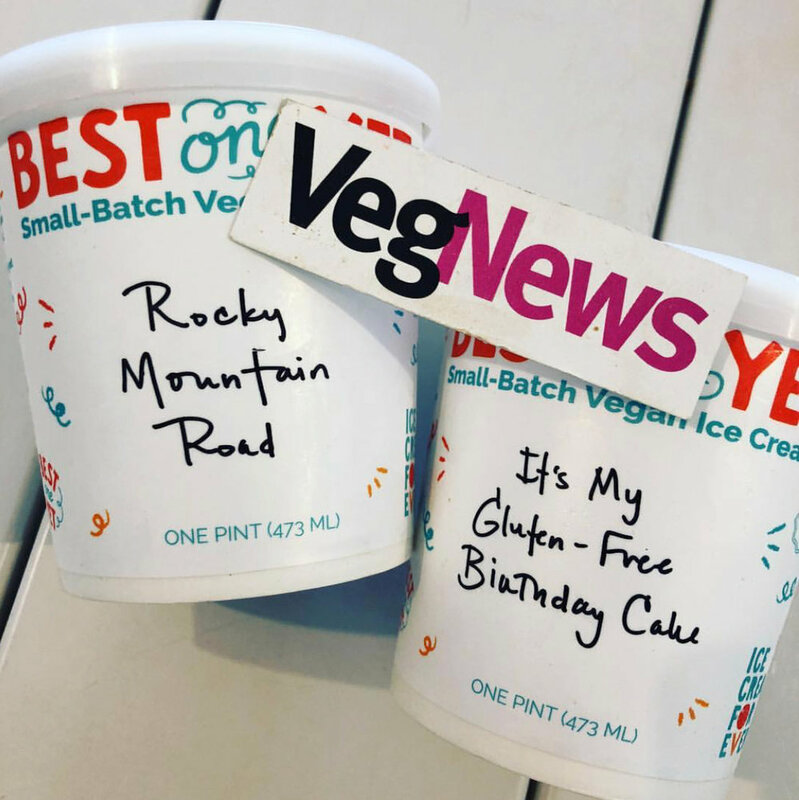 Check out this list of the top 10 places to find vegan ice cream in Denver, featuring Best One Yet! Best One Yet hits the small screen! 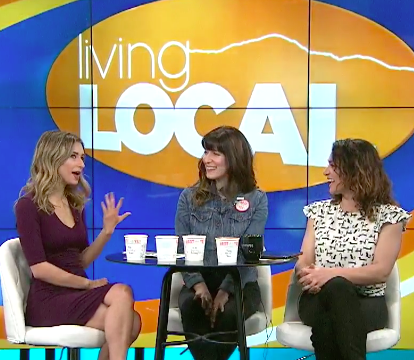 Mia and Maria of Living Local ask us about making vegan ice cream and riding the Vegan Vespa. VegNews checked out our new pint packaging! A wonderful overview of the Best One Yet brand by enthusiastic Denver vegan, Sarah Eastin. Lisa of The Vegan Pact reviews three of our current flavors: It's My [Gluten-Free] Birthday Cake, Banana Chocolate Chip-ier and Pumpkin Maple Pecan! Want to write about best one yet? Contact us at hi@bestoneyetvegan.com.